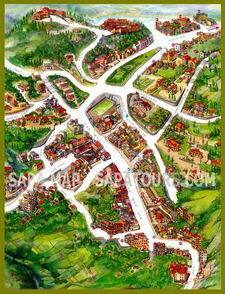 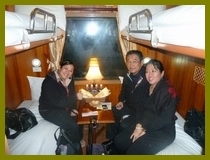 Sapaly Express Train to Sapa, Vietnam: One of the high-class tourism train from Hanoi to Lao Cai and return. 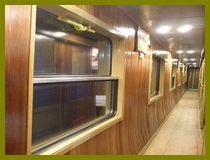 With concern of the service quality, passengers can enjoy your journey on the “Sapaly Express Train” as in the Best Western standard. 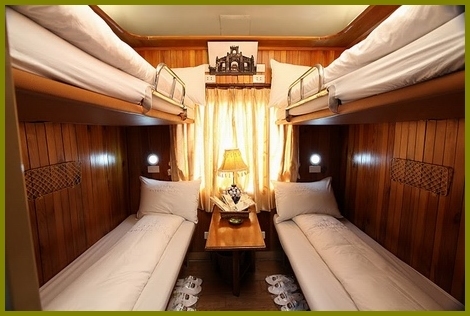 Sapaly Express is the combination between the equipments of the four-star Hotel and the professional service agents will ensure to provide you an utmost satisfaction of whole long train journey choice. 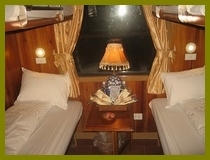 VIP Sapaly Express Train 2 berths cabin create an intimate space for couples with 2 berths only. 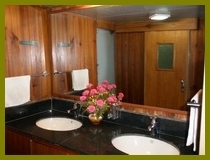 These cabins are lovingly designed to for those who desire to have the privacy with remarkable interior decor.